Bubba Watson doesn't let any obstacle come between him and an exceptional game. Keep cool and confident under the sun's harsh rays with the Oakley Bubba Watson Alignment Polo , featuring a lightweight, UV-protective, sweat-wicking fabric. Set-in sleeves with forward shoulder seams and a split hem keep you moving freely. 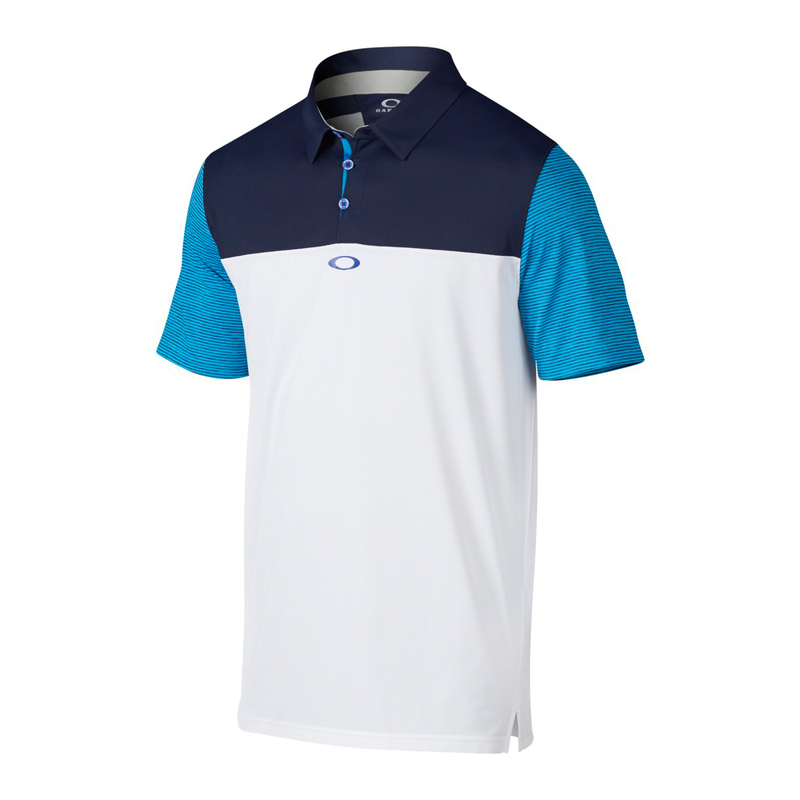 An ellipse logo under a two-button placket and a bark logo on the back right shoulder put a signature stamp on this modern Oakley golf Alignment Polo .